SKYCITY Entertainment Group Limited (“SKYCITY” or “SKYCITY Group”) is New Zealand’s largest tourism, leisure and entertainment company with an iconic status and is listed in both New Zealand and Australia. As one of only three publically listed casino operators in Australasia, we operate integrated entertainment complexes in New Zealand (Auckland, Hamilton and Queenstown) and Australia (Adelaide). In addition to our contemporary casino gaming facilities at each of our complexes, we also offer world-class restaurants, bars and conference facilities which appeal to both domestic and international visitors alike. Additionally, we also offer award-winning hotel accommodation in Auckland. Delivering sustainable total shareholder return that rewards long-term investment with us. Exceeding our customers’ expectations by delivering a world-class entertainment experience. Providing demonstrable economic and social benefits to the communities in which we operate. Being a good corporate citizen, whilst operating a sustainable and successful business model. Rob Campbell is currently the Chair of Summerset Group Holdings Limited, Tourism Holdings Limited and WEL Networks Limited and a director of Precinct Properties New Zealand Limited. Rob has over 30 years’ experience in capital markets and is a director of or advisor to a range of investment fund and private equity groups in New Zealand, Australia, Hong Kong and the United States of America. Rob holds a Bachelor of Arts with First Class Honours in Economic History and Political Science and a Masters of Philosophy in Economics. Based in Adelaide, Australia, Bruce Carter is a Consultant to Ferrier Hodgson in Adelaide and was one of the founding partners of the Adelaide practice in 1992. He was formerly a partner at Ernst & Young and has more than 30 years’ experience in corporate restructuring and insolvency. Bruce is currently Chairman of ASC Pty Ltd (Australian Submarine Corporation) and Aventus Capital Limited and a director of Bank of Queensland Limited and Genesee and Wyoming Inc (US) as well as a number of private companies and government bodies. He is a Fellow of Chartered Accountants Australia and New Zealand. Sue Suckling is an independent director and consultant with over 25 years in commercial corporate governance. She is recognised for her leadership in the technology innovation space and her deep governance experience. Sue is currently the Chair of the New Zealand Qualifications Authority, Insurance and Financial Services Ombudsman Scheme Commission, Jacobsen Holdings Limited, the Lincoln Hub Establishment Board, ECL Group Limited and Jade Software Corporation Limited. Previous governance roles include chairing NIWA, AgriQuality Limited, and as a director of Restaurant Brands Limited, Westpac Investments Limited and the New Zealand Dairy Board. She holds an OBE for her contribution to New Zealand business. Sue is an inaugural Fellow of the New Zealand Institute of Directors and a Companion of the Royal Society of New Zealand. Richard Didsbury graduated as an Engineer from Auckland University and has enjoyed a distinguished career in property investment and development. Richard founded, and is currently a director of Kiwi Property Group Limited, which is now the largest property vehicle listed on the NZX. He is the Chairman of NX2 (the private sector consortium involved in the Puhoi to Warkworth motorway project, a Private Public Partnership). He is well known for his work as a past president of the Property Council of New Zealand and was previously Chairman of Committee for Auckland Limited. His previous governance roles include being a director of Infrastructure Auckland and Tourism Auckland. Jennifer Owen is a Principal of Owen Gaming Research, an independent research firm specialising in the gaming and wagering markets. She has more than 30 years’ experience in the areas of accountancy, audit, finance, treasury and equities research. Jennifer has specific specialist knowledge of the New Zealand and Australian gaming and entertainment sectors through her roles as Director of Equities Research at Citigroup Global Markets, with a specialist focus on the Australasian gaming sector, and as Equities Research Analyst at Macquarie Group focussing on the tourism/leisure sector. She has been engaged in research, analysis, and more recently, consulting in the sector since 1996, and has a wide network within the gaming industry and a strong understanding of industry and investor issues. Her previous governance roles include serving on the board of Racing NSW and the Investment Committee of the Salvation Army. Jennifer holds a Bachelor of Business from the Queensland Institute of Technology, a Masters in Business Administration from the University of Queensland, is a graduate of the Australian Institute of Company Directors’ Diploma course and is a member of Chartered Accountants Australia and New Zealand. Murray Jordan is currently a director of Chorus Limited and Metcash Limited, an ASX listed wholesale distributor specialising in food, grocery and hardware based in Australia, a director of Stevenson Group Limited, a family owned New Zealand business specialising in building products and quarrying, and a trustee of the Starship Foundation. Prior to embarking on a governance career in 2015, he held various senior management roles at Foodstuffs Limited from 2004 to 2015, including Managing Director of Foodstuffs North Island and Managing Director and General Manager Retail, Sales and Performance of Foodstuffs Auckland Limited. In 2013, he led the merger of the Auckland and Wellington businesses of Foodstuffs to create what is now known as Foodstuffs North Island and established and oversaw the integration program. His early career was in the property sector, including as General Manager of Telecom NZ’s property business and General Manager of AMP Capital Investors NZ Limited’s property portfolio. Murray has a Masters degree in Property Administration from the University of Auckland. Prior to SKYCITY, Graeme spent four years as CEO of Sun International, a casino, resorts and entertainment company listed on the Johannesburg Stock Exchange. Under his leadership the company rebalanced its portfolio, diversified into growth areas in both South Africa and Latin America, redeveloped its flagship resort in Sun City and built a new casino resort near Pretoria. before joining Sun International in 2011. Michael Ahearne joined SKYCITY in December 2017 as the Group Chief Operating Officer, and is responsible for overseeing the operations and driving value across SKYCITY's six properties in New Zealand and Australia. Prior to SKYCITY, Michael held a number of senior operational and product leadership roles at Paddy Power Betfair, one of the world’s leaders in sports betting and gaming. Prior to this, Michael enjoyed a 13 year career in the Australasian gaming and entertainment sector - ten years of which were spent at The Star Casino, Sydney, where he held a variety of senior management positions and, following that, three years as Chief Operating Officer for Aristocrat in the Australia and New Zealand regions. Michael is a qualified accountant and holds an MBA from the University of Technology, Sydney. Rob joined SKYCITY as Chief Financial Officer in October 2014 and is responsible for the financial management of SKYCITY, including reporting, treasury, risk management and corporate development. He also oversees SKYCITY’s International Business and ICT function and helps to drive the strategic direction of the SKYCITY Group. Rob is a respected member of the finance community with more than 20 years’ experience at First NZ Capital, where he led the investment banking team. Board of Trustees for Auckland Grammar School. Claire was appointed General Manager Human Resources in August 2016 and is responsible for leading the development and implementation of best practice human resource strategy across SKYCITY. She also has executive responsibility for corporate social responsibility at SKYCITY. Prior to her appointment as General Manager Human Resources, Claire was Chief People Officer at Sanford Limited where she established the human resources function and led the sustainability and integrated reporting activities for the organisation. Prior to this, Claire led the human resources and employee relations function for the SKYCITY Auckland business. Claire has also held senior human resource roles with Carter Holt Harvey and Downer after several years working in the education sector. Jo joined SKYCITY as Senior Legal Counsel in January 2009 and was subsequently appointed as Deputy General Counsel before being appointed as General Counsel and Company Secretary in September 2016. As General Counsel and Company Secretary, Jo is responsible for SKYCITY’s legal, company secretarial, regulatory affairs and anti-money laundering functions. Jo has more than 20 years’ experience in both private practice and in-house legal roles. Before joining SKYCITY in 2009, she held General Counsel and Group Corporate Counsel roles in the New Zealand financial services industry and was a Senior Solicitor at Russell McVeagh, one of the leading law firms in New Zealand. Jo was a participant in the 2017 Global Women Breakthrough Leaders Programme, is a member of New Zealand Asian Leaders and holds a Bachelor of Laws and a Bachelor of Arts (Criminology and Japanese) from Victoria University of Wellington. Since joining SKYCITY in September 2007, Simon has held a number of roles, including General Manager SKYCITY Adelaide, General Manager Hotels SKYCITY Auckland and Acting General Manager SKYCITY Auckland. As General Manager NZICC, Simon oversees the development of SKYCITY’s New Zealand International Convention Centre and Horizon Hotel project in Auckland. He is also responsible for health and safety at SKYCITY. Glen joined SKYCITY in 2016 as the Chief Information Officer (CIO) and is responsible for lifting the digital capability of the organisation to be able to respond to future innovation initiatives and growth strategies. Prior to SKYCITY, Glen was the General Manager ICT (CIO) with Meridian Energy for 6 years where he successfully transformed and modernised their aging technology footprint and digital capability. Glen brings 25 years of technology experience from across several industries globally, having worked in and out of the UK, France, USA, Australia, Malaysia, India, China, and the Middle East. He holds a Masters of Information Systems from Swinburne University of Technology, Australia, and a Bachelor of Business studies from Massey University, New Zealand. Liza joined SKYCITY in January 2018 as Chief Marketing Officer, bringing with her over 20 years of marketing expertise. organisations. These include News Corp Australia, Telecom/Spark New Zealand and New Zealand Media & Entertainment (NZME) as well as a period of time running her own consulting firm. With her broad marketing background, Liza brings holistic thinking to our marketing efforts with particular focus on our brand, digital, customer and loyalty. Stewart Neish was appointed President of International Business in June 2017 and is responsible for the positioning and development of SKYCITY’s international gaming business. Stewart has operational experience across Australia, New Zealand, Asia, Africa and Latin America and has extensive experience in VIP gaming operations and customer development strategies. Stewart holds a Bachelor of Business and an Advanced Diploma in International Hotel Management. Luke joined SKYCITY in February 2017 and oversees the operation of its second largest property in Adelaide. Luke has almost 20 years experience in senior executive positions – including CEO and COO – in the casino, and broader hospitality industries, both in single and multi-site venues, spanning multiple markets. Michelle was appointed General Manager SKYCITY Queenstown in May 2008 and was responsible for successfully incorporating the SKYCITY Wharf Casino business into the existing SKYCITY Queenstown Casino business in July 2013. Michelle relocated to Hamilton in April 2014 to take up the position of General Manager SKYCITY Hamilton and has overseen a number of positive changes to the Hamilton business. Michelle has a Bachelor of Arts in Political Science and Philosophy from the University of Canterbury. She was a Board member of the Queenstown Chamber of Commerce from 2012 - 2013 and was on the Executive Committee of the Hamilton Central Business Association from 2015 – 2016. Jonathan Browne joined SKYCITY in May 2015 and is responsible for overseeing the operations of SKYCITY Queenstown Casino and SKYCITY Wharf Casino in Queenstown. Commencing his career in tourism, Jono travelled widely before returning to New Zealand and a role with Lion Nathan in Wellington. Jonathan progressed to Area Manager with Lion Nathan before joining the gaming industry in 2008. Jono has since held roles as National Accounts Manager for International Gaming Technology (NZ) and more recently General Manager for United Gaming while balancing his role as director for a hospitality venue company. He holds qualifications in Marketing and Tourism, a post graduate certificate in Management and an MBA from Victoria University. Corporate governance at SKYCITY encompasses the company's decision-making structures and the mechanisms used to manage the organisation. The Board of SKYCITY has a comprehensive set of corporate governance practices and procedures in place to ensure that these responsibilities are met. The SKYCITY Board Charter sets out the corporate governance framework for the Board and its committees. Below is a summary of SKYCITY's Board and committee structure and membership information as well as the Board Charter and associated documents. The primary objective of the Board’s Audit and Risk Committee is to assist the Board of Directors in fulfilling its responsibilities relating to accounting and reporting, external and internal audit, tax planning and compliance, treasury, gaming regulatory compliance, and risk management. The Board's Remuneration and Human Resources Committee oversees the management of the human resource activities of the company, the senior management structure, senior executive performance, remuneration and incentivisation, and succession planning. The Board's Governance and Nominations Committee monitors the overall governance of the business, Board (and committees) composition and performance, director independence, conflicts of interest, the ethics of the organisation, protection of the company's casino licences, statutory compliance, host responsibility and problem gambling programmes and initiatives. The Committee's responsibilities include development and review of the corporate governance principles and framework for the company. The Committee is also responsible for monitoring shareholder relationships and employee shareholding matters and policies. The Board's Corporate Social Responsibility Committee is responsible for monitoring the organisational integrity of business operations to ensure the maintenance of a high standard of ethical behaviour. This includes ensuring that SKYCITY operates in compliance with its Code of Business Practice, which sets out the guiding principles of its relationships with stakeholder groups such as regulators, shareholders, suppliers, customers, community groups and employees. SKYCITY currently has over 15,346 independent shareholders. 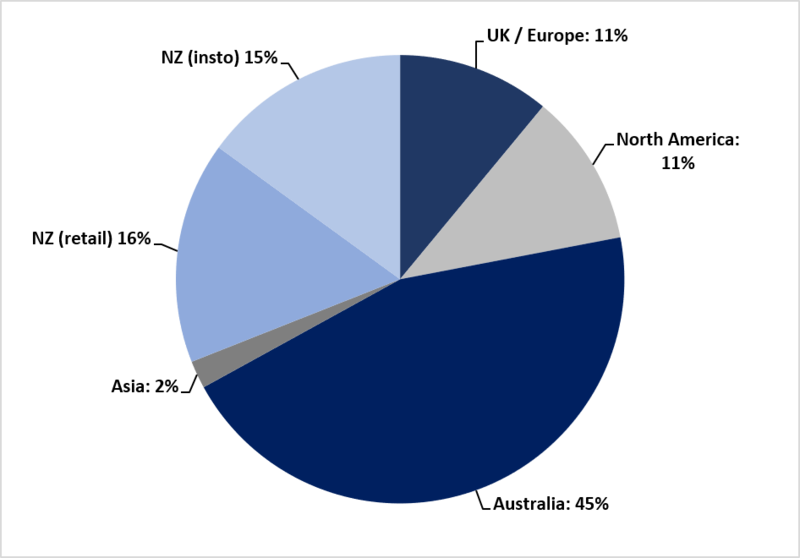 The majority of SKYCITY's current shareholder base, by value, is represented by institutional investors (both domestic and offshore), with the balance predominantly held by New Zealand retail. ~78% of SKYCITY stock is held by the top 20 shareholders as at 1 September 2018, with SKYCITY's largest single shareholder holding around 18.58%. Twenty largest shareholders as at 1 September 2018. Total ordinary shares on issue as at 1 September were 680,342,108 of which 5,515,841 were held in aggregate by Public Trust on behalf of eligible and future participants pursuant to the SKYCITY Executive Long Term Incentive Plan. The ordinary shares are quoted on both the NZX Main Board and ASX under the ticker code ‘SKC’. No shares were held by the company directly as treasury stock. In New Zealand, casino gaming activities are regulated by the Department of Internal Affairs and Gambling Commission in accordance with the Gambling Act 2003. In Australia, casino gaming activities are regulated by the relevant State and Territory governments. Casino licensing in New Zealand is governed by the Gambling Act 2003, which is administered by the Department of Internal Affairs and Gambling Commission. A casino venue licence typically runs for an initial term of 25 years from the date of opening of the relevant casino. However, a casino venue licence may be renewed for further successive periods of 15 years each under the Gambling Act. A casino venue licence has been issued for each of SKYCITY’s New Zealand casinos. SKYCITY Casino Management Limited (a wholly-owned subsidiary of SKYCITY Entertainment Group Limited) holds a casino operator’s licence for each of SKYCITY’s New Zealand casinos..
SKYCITY’s casino venue licences and casino operator’s licences can be viewed at the Gambling Commission's website. SKYCITY has a venue licence for each of its three venues in New Zealand - Auckland, Hamilton and Queenstown. The table below outlines the significant dates associated with the licences. (1) The casino licences may be renewed for a further period of 15 years as provided by section 138 of the Gambling Act 2003. (2) As extended by the New Zealand International Convention Centre Project and Licensing Agreement dated 5 July 2013. Casino licensing in South Australia is governed by the Casino Act 1997, which is administered by the Independent Gambling Authority and Office of the Liquor and Gambling Commissioner. In February 2000, SKYCITY Australia Pty Limited (a wholly-owned subsidiary of SKYCITY Entertainment Group Limited) was the successful bidder for Adelaide Casino Pty Limited, the holder of the casino licence for South Australia. The Adelaide Casino licence currently runs until 2085, with casino exclusivity in the State of South Australia until 2035. The Adelaide Licensing Agreement and Casino Duty Agreement can be viewed at the South Australian Department of Treasury and Finance website, click here to view the site. Casino gaming in South Australia is regulated by the Independent Gambling Authority. Casino licensing in the Northern Territory is governed by the Gaming Control Act, which is administered by the Minister for Racing, Gaming and Licensing and the Director-General of Licensing. In July 2004, SKYCITY acquired ownership of the casino licence in the Northern Division of the Northern Territory. SKYCITY came into existence in 1996 when Sky City Limited became the owner of the SKYCITY Auckland complex. In 1998, it took over the operations from the previous gaming operator Harrah's Entertainment. Since opening its original Auckland casino, SKYCITY has expanded its operations to several New Zealand cities and Australian cities. May 2016: SKYCITY signs an Early Works Agreement with the South Australia Government as part of the expansion of the Adelaide Casino and the broader development of the Adelaide riverbank precinct. May 2016: SKYCITY completes a NZ$263 million capital raising through an accelerated renounceable entitlement offer to existing shareholders. April 2016: Nigel Morrison resigns as Chief Executive Officer, with John Mortensen appointed as Interim Chief Executive Officer. January 2016: SKYCITY plans for the expansion of the Adelaide Casino are approved by South Australia’s Development Assessment Commission. November 2015: SKYCITY lodges its plans for the exterior design of the Adelaide Casino expansion with the South Australian design approval body, the Development Assessment Commission. November 2015: The regulatory concessions under the New Zealand International Convention Centre Agreement with the New Zealand Government become available to SKYCITY following signing of the building works contract with Fletcher Construction Limited for the development of the New Zealand International Convention Centre. October 2015: SKYCITY appoints Fletcher Construction Limited as the main contractor for the New Zealand International Convention Centre and Hobson St Hotel developments. 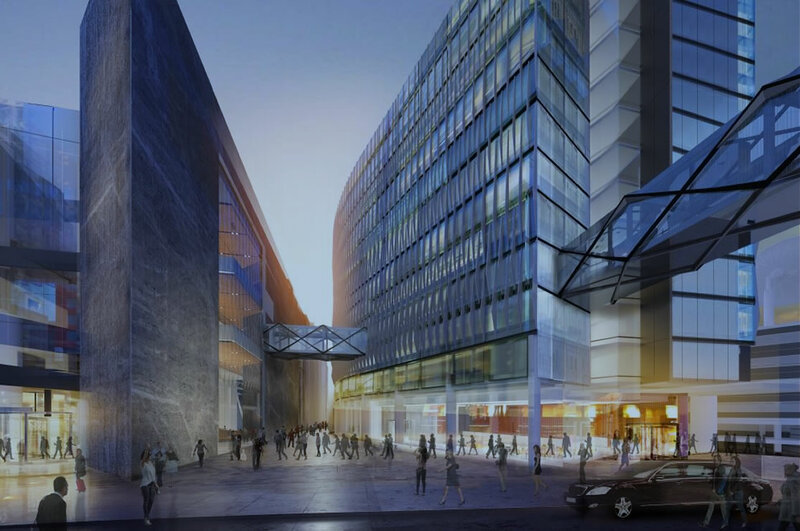 September 2015: SKYCITY announces that the New Zealand International Convention Centre and Hobson St Hotel projects received resource consent approval from the Auckland Council. September 2015: SKYCITY allots NZ$125 million of unsubordinated, unsecured, redeemable, fixed rate, seven year bonds. September 2015: SKYCITY launches a Level 1, Sponsored American Depository Receipts programme with the Bank of New York Mellon. August 2015: SKYCITY announces its intention to issue up to NZ$100 million (plus up to NZ$25 million of oversubscriptions) of unsubordinated, unsecured, redeemable, fixed rate, seven year bonds. July 2015: SKYCITY announces that the Northern Territory Government’s gaming tax rate review for the SKYCITY Darwin Casino has completed and new tax rates confirmed. July 2015: SKYCITY announces that its resource consent application for the development of the New Zealand International Convention Centre, the Hobson St Hotel, additional car parks, and a pedestrian laneway will proceed on a non-notified basis. May 2015: SKYCITY and the New Zealand Government agree the preliminary design and execute an amended agreement for the development of the New Zealand International Convention Centre. April 2015: The Northern Territory Government imposes a Community Benefit Levy on SKYCITY Darwin. March 2015: SKYCITY agrees commercial terms for the Adelaide Casino car park lease. March 2015: SKYCITY announces that it and the New Zealand Government have formally agreed to extend the last date for approval of the preliminary design of the New Zealand International Convention Centre. February 2015: SKYCITY agrees to review the design of the New Zealand International Convention Centre following discussions with the New Zealand Government. December 2014: SKYCITY lodges its resource consent application for the development of the New Zealand International Convention Centre, Hobson St Hotel, additional car parks and a pedestrian laneway. August 2014: Rob Hamilton appointed Chief Financial Officer. 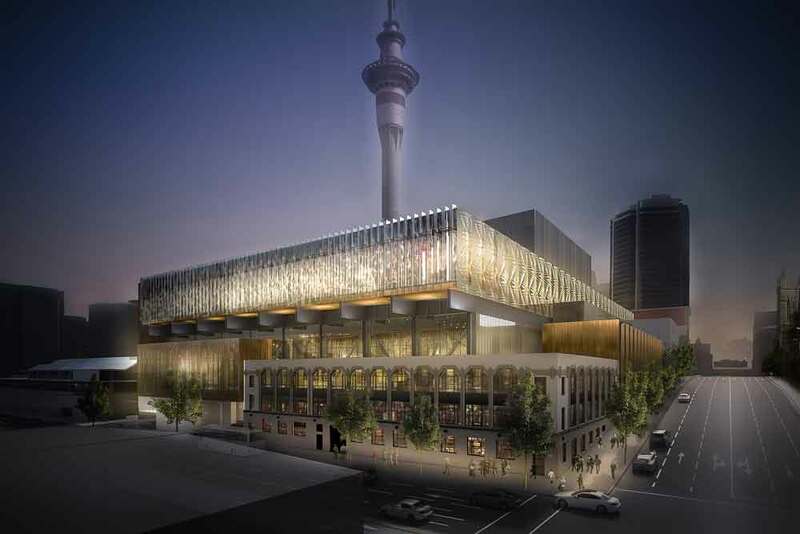 August 2014: SKYCITY announces approval of its concept design for the New Zealand International Convention Centre and its intention to build a new 300 room, 5 star hotel adjacent to the New Zealand International Convention Centre. May 2014: James Burrell resigns as Chief Financial Officer. February 2014: SKYCITY’s Approved Licensing Agreement and Casino Duty Agreement with the South Australian Government for the Adelaide Casino expansion project come into effect. December 2013: SKYCITY is included in the S&P/ASX 200 index. November 2013: New Zealand Parliament passes the New Zealand International Convention Centre legislation allowing SKYCITY to design, build, own and operate the New Zealand International Convention Centre adjacent to SKYCITY Auckland in Auckland. October 2013: South Australian Parliament passes legislation allowing SKYCITY to undertake a significant expansion of the Adelaide Casino, including a new 6 star boutique hotel and VIP gaming suites. June 2013: SKYCITY acquires Wharf Casino in Queenstown. March 2013: SKYCITY short listed for new tourism development on the Gold Coast, Australia. December 2012: SKYCITY sells its shareholding in Christchurch Casino and acquires full ownership of SKYCITY Queenstown. December 2011: SKYCITY announces NZ$185 million new unsecured bank facility. February 2011: Christchurch Casino temporarily closed due to a devastating earthquake in February. June 2011: SKYCITY announced by the New Zealand Government as the preferred developer of a national convention centre in Auckland. May 2011: James Burrell appointed as Chief Financial Officer. April 2011: SKYCITY wins Variety International Corporate Award for services to charity. February 2010: SKYCITY completes the sale of its cinemas business to Amalgamated Holdings Limited. August 2009: SKYCITY completes a further buy back of US$62.5 million (NZ$93 million) of US private placement debt. July 2009: SKYCITY completes a buy back of US$53 million (NZ$84.5 million) of US private placement debt. May 2009: SKYCITY completes a further NZ$43 million placement to retail investors under a share purchase plan and top up offer. April 2009: SKYCITY completes a NZ$185.3 million underwritten institutional placement of 71 million ordinary shares. May 2008: Alistair Ryan appointed as Chief Financial Officer. March 2008: Nigel Morrison appointed as Chief Executive Officer. May 2006: SKYCITY acquires remaining 50% of cinema joint venture from Village Roadshow. June 2004: SKYCITY purchases the Darwin casino and hotel, which is re-branded SKYCITY Darwin. 2004: SKYCITY acquires a 40.5% shareholding in Christchurch Casino. 2003 – 2004: “Sky City” is rebranded “SKYCITY” group-wide. September 2002: Sky City Hamilton opens. September 2001: Renamed Sky City Entertainment Group Limited to reflect the group’s broadening scope. March 2001: Sky City acquires a 50.2% interest in Force Corporation Limited, a cinema entertainment company, which is renamed Sky City Leisure Limited. June 2000: Sky City acquires the Adelaide Casino in South Australia. December 2000: Sky City Queenstown opens. February 1996: Sky City Limited begins operation and lists on the NZX. 1994 to February 1996: Sky City founded by Harrah's Entertainment & Brierley Investments Limited. SKYCITY Auckland Limited, a wholly-owned subsidiary of SKYCITY Entertainment Group Limited, holds the casino venue licence for SKYCITY Auckland. This casino venue licence currently runs until 30 June 2048 (having been extended by the New Zealand International Convention Centre Project and Licensing Agreement dated 5 July 2013). SKYCITY Auckland is currently authorised to operate up to 150 gaming tables, 1,877 gaming machines and 240 fully automated table games. January 2016: SKYCITY Auckland celebrates its 20 year anniversary. December 2015: Andy’s Burgers & Bar opens in a revitalised Auckland Atrium space. December 2015: SKYCITY and Kapiti partner to create a new Sky Café experience in the Sky Tower. November 2015: SKYCITY Auckland wins the Innovative Youth Employer Award at the inaugural ‘Young at Heart’ Youth Employer Pledge Awards. September 2015: East Day Spa awarded both Oceania’s Best Hotel Spa and New Zealand’s Best Hotel Spa in the World Spa Awards. September 2015: SKYCITY Grand Hotel named as a finalist in the 2015 NZ Tourism Industry Awards for the Visitor Experience Category. August 2015: SKYCITY agrees to new guaranteed minimum hours for SKYCITY Auckland staff. August 2015: SKYCITY confirms its plan to enhance its Auckland property with a major upgrade of its main Atrium space, costing approximately NZ$24 million. June 2015: SKYCITY commences a new shuttle service between its Auckland hotels and the Auckland Airport’s international and domestic terminals. April 2015: Depot named as supreme award winner at the Metro Peugeot Restaurant of the Year Awards, with six Federal Street restaurants featuring in the Top 50. March 2015: Federal Street restaurant pop-up brand, The Kitchen c/o SKYCITY, officially launched. November 2014: The revitalised Federal Street precinct is officially opened with a public festival. October 2014: SKYCITY achieves a Rainbow Tick certification, recognising it as an employer that encourages and affirms lesbian, gay, bisexual, transgender, takatāpui and intersex (LGBTTI) staff. October 2014: SKYCITY announces a new partnership with AJ Hackett Bungy New Zealand that is to take over the operation of the iconic Sky Tower’s SkyJump and SkyWalk adventure tourism activities. October 2014: SKYCITY announces it will commit NZ$50,000 to help keep the iconic Santa on Auckland’s Queen Street. October 2014: SKYCITY wins both the Leading Hotel Suite (for the SKYCITY Grand Hotel presidential suite) and Australasia’s Leading Casino Resort at the World Travel Awards 2014. August 2014: Auckland Convention Centre celebrates 10 years of success in the industry. April 2014: Federal Street confirmed as Auckland’s outstanding dining destination after the 2014 Metro Restaurant Awards. April 2014: SKYCITY New Zealand Badminton Open brings 240 international players to Auckland. April 2014: SKYCITY celebrates second annual Poppy Partnership with the Auckland RSA the RSA’s centennial year. February 2014: SKYCITY hosts ‘The Height of Fashion’ at The Sugar Club in Auckland. October 2013: SKYCITY Grand Hotel named as New Zealand’s Leading Business Hotel in the World Travel Awards in Dubai. December 2013: New Black VIP gaming room opens. October 2013: Nic Watt opens Japanese Robata restaurant MASU in the Federal Street dining precinct. August 2013: The Federal Street dining precinct continues to expand with the opening of Al Brown’s Federal Delicatessen. May 2013: Peter Gordon opens The Sugar Club on Level 53 of the Sky Tower. 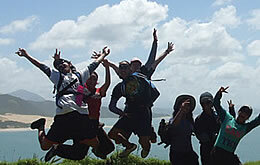 November 2012: SKYCITY Auckland Community Trust grants NZ$2.5 million to Auckland community programmes. August 2012: Sky Tower celebrates 15 years as an icon on the Auckland skyline. 2011: Redevelopment of levels 5 and 6 of the SKYCITY Hotel into new VIP gaming spaces, EIGHT and Horizon. September 2011: SKYCITY and Steinlager open new sports bar, The Nation’s Clubrooms. February 2011: Redevelopment of Federal Street with the introduction of three new restaurants - The Grill by Sean Connolly, Al Brown’s Depot and Red Hummingbird. August 2011: Depot by Al Brown & Red Humingbird by Luke Dallow open on Federal Street. August 2011: New Diamond Room opens. August 2011: EIGHT opens as phase 2 of a major redevelopment of the VIP gaming facilities above the SKYCITY Hotel. July 2011: High-end International VIP ‘Horizon’ Suites and gaming salons open as part of a NZ$30 million development on top of the SKYCITY Hotel. May 2011: New Platinum Room opens. 2009: SKYCITY Auckland voted Australasia’s Leading Casino Resort at the 16th Annual World Travel Awards. February 2008: Main Gaming Floor's first major refurbishment since opening is completed. November 2007: SkyWalk, the new Sky Tower adventure experience, opens to thrill seekers. 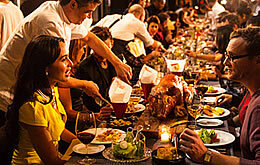 December 2006: Bellota, a contemporary tapas bar designed by Peter Gordon, opens. 2005: The SKYCITY Grand Hotel opens for business, offering 5 star+ accommodation and a signature fine dining restaurant Dine by Peter Gordon. 2004: The SKYCITY Auckland Convention Centre opens to become the newest and most technically advanced convention centre in New Zealand. 1997: Sky Tower, the tallest tower in the Southern Hemisphere, opens. 1996: SKYCITY Auckland casino and entertainment complex opens. On 30 June 2000, SKYCITY assumed ownership and operational control of the Adelaide Casino. The Adelaide casino licence currently runs until 2085, with exclusivity in the State of South Australia until 2035. SKYCITY Adelaide is currently authorised to operate 200 gaming tables and 1,500 gaming machines. December 2015: Creation of new, contemporary ‘Horizon’ gaming salons to accommodate international gaming. March 2015: SKYCITY agrees commercial terms for the Adelaide car park lease. January 2015: SKYCITY completes the interim redevelopment of the Adelaide Casino with the establishment of new contemporary gaming spaces (including the Platinum, Black and Barossa gaming rooms) and two new signature restaurants, Madame Hanoi and Sean’s Kitchen. 2012: Introduction of Cent City, featuring 185 1c gaming machines and creation of the Backyard Bar, an outdoor bar at the northern end of the building featuring a large outdoor LED screen and overlooking the River Torrens. 2011: Adelaide Casino awarded South Australia’s ‘Major Tourist Attraction’. 2009: A A$5 million revamp of Marble Hall and the Chandelier Bar unveiled and opened to public. 2005: SKYCITY launches new facilities – new gaming areas, North restaurant, LOCO bar and a new entrance on North Terrace. 2004: A A$20 million redevelopment of North Terrace 'South Side' commences. 2000: SKYCITY purchases the Adelaide Casino. 1985: The Adelaide Casino, owned by the South Australian Government, opens for business. In June 2005, SKYCITY completed the acquisition of full ownership of SKYCITY Hamilton which opened in 2002. Previously, SKYCITY was a joint venture partner (70%) with Perry Developments Limited (30%). The Hamilton casino licence currently runs until September 2027. SKYCITY Hamilton is currently authorised to operate 23 gaming tables and 339 gaming machines. December 2015: Five new restaurants and bars opened at the City Co-Op space in SKYCITY Hamilton’s beautifully restored Atrium space. June 2015: SKYCITY announces its plan to develop an exciting food and beverage precinct in the central city. June 2015: Successful investment in new gaming facilities, including development of contemporary premium gaming spaces. December 2014: SKYCITY contributes NZ$450,000 to Hamilton community groups. August: Four SKYCITY Hamilton chefs dominate the 2014 Waikato Culinary Fare with Benjamin Liu awarded 2014 Commis Chef of the Year. April 2014: Michelle Baillie appointed General Manager. 2012: SKYCITY considers development of new hotel in Hamilton, but ultimately decides not to proceed with the project. 2011: Renovated Silk and Rebo restaurants open. 2007: Rebo Restaurant and Bar opens. 2006: Zone Sports Bar opens. 2005: Riverside Entertainment Centre acquired. 2005: Additional shares are purchased to achieve 100% ownership of the Hamilton complex. 2002: Casino and entertainment complex opens. In December 2012, SKYCITY acquired full ownership of Queenstown Casinos Limited. the venue licence holder for SKYCITY Queenstown Casino (which opened in 2002). Previously, SKYCITY was a joint venture partner (60%) with Skyline Enterprises Limited (40%). The Queenstown casino licence currently runs until December 2025. In June 2013, SKYCITY acquired Otago Casinos Limited from Lasseters (NZ) Limited. Otago Casinos Limited holds the casino venue licence for the rebranded SKYCITY Wharf Casino, which opened in September 1999. The Wharf casino licence currently runs until September 2024. SKYCITY Queenstown is authorised to operate 12 gaming tables and 86 gaming machines and SKYCITY Wharf Casino is authorised to operate 6 gaming tables and 74 gaming machines. March 2015: Jono Browne appointed General Manager. April 2014: Richard Callander appointed General Manager. March 2014: Major interior refurbishments at both SKYCITY Wharf Casino and SKYCITY Queenstown Casino completed, including an extensive upgrade to the Queenstown ‘Horizon’ room for international VIP customers. September 2013: More than 40 community organisations across the Queenstown Lakes district benefit from SKYCITY Queenstown Casino Community Trust grants totalling more than NZ$95,000. July 2013: SKYCITY acquires Wharf Casino in Queenstown. June 2013: SKYCITY sponsors New Zealand’s third annual Winter Games. March 2013: SKYCITY brings back the Queenstown Winter Festival Ball. 2012: SKYCITY sells its shareholding in Christchurch Casino and acquires full ownership of SKYCITY Queenstown. 2011: SKYCITY Queenstown hosts SKYCITY Snowfest alongside Pokerstars.net. 2000: Casino and entertainment complex opens. The New Zealand international Convention Centre ("NZICC") will be the country's premier convention centre. The New Zealand International Convention Centre will be the country’s premier convention centre. It is the first dedicated space to cater for more than 1,000 people, enabling New Zealand to attract major international conferences as well as having capability for sporting events, theatre and musical performances. SKYCITY’s investment in Auckland totals more than NZ$700 million, which includes the NZICC facility, an adjacent laneway, expansion of car parking facilities and the development of a new 300 room, 5 star hotel. There will be more than 1,000 jobs created during the construction phase and 1,140 jobs once the NZICC and Hobson St Hotel open, contributing to Auckland’s growth and reputation as a vibrant, internationally competitive city.